Stare into this face and count if you can the orgies of evil! 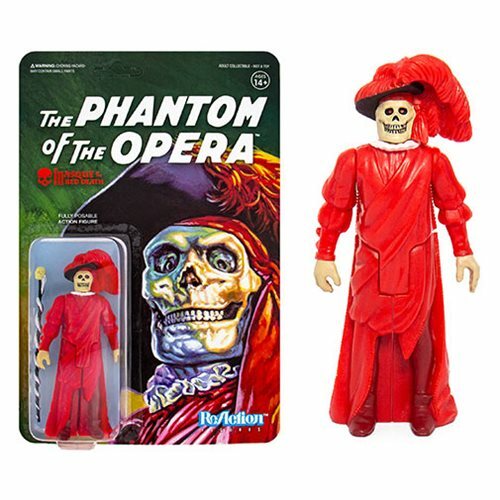 Taking inspiration from years gone by, Super7 brings the famous monster to "life" as the Universal Monsters The Phantom of the Opera Masque of the Red Death 3 3/4-inch ReAction Figure - just like the ones you remember. Packaged on a retro 6-inch x 9-inch cardback, classic figure collectors can't miss this awesome figure! Ages 14 and up.